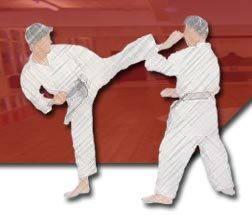 A total of three 5th Dan's were simultaneously awarded on the 14th of November 2009. Paul Smith, Tino Zagra, and Kaz Maj were all awarded this senior grade by and independant judging panel. On behalf of the M.S.K.F, we'd all like to offer our congratulations for these awards that recognise all the hard work they have put in over the years.